Kaleidoscope wanted to understand the shopping experience of their customers. So, they brought Bunnyfoot on board to assist them. Kaleidoscope was an interesting experience of retail e-Commerce. They aim to provide an intimate, boutique shopping experience, yet with all the choice of a department store. Their audience traditionally shop through catalogues and are not very experienced online. This is a perfect example of where user testing can help to bring a great experience to a unique customer base. Participants were chosen from established Kaleidoscope customers, using a combination of the catalogue and the web all within the last year. A closed card sorting exercise helped uncover some navigation and terminology issues that could improve the website. 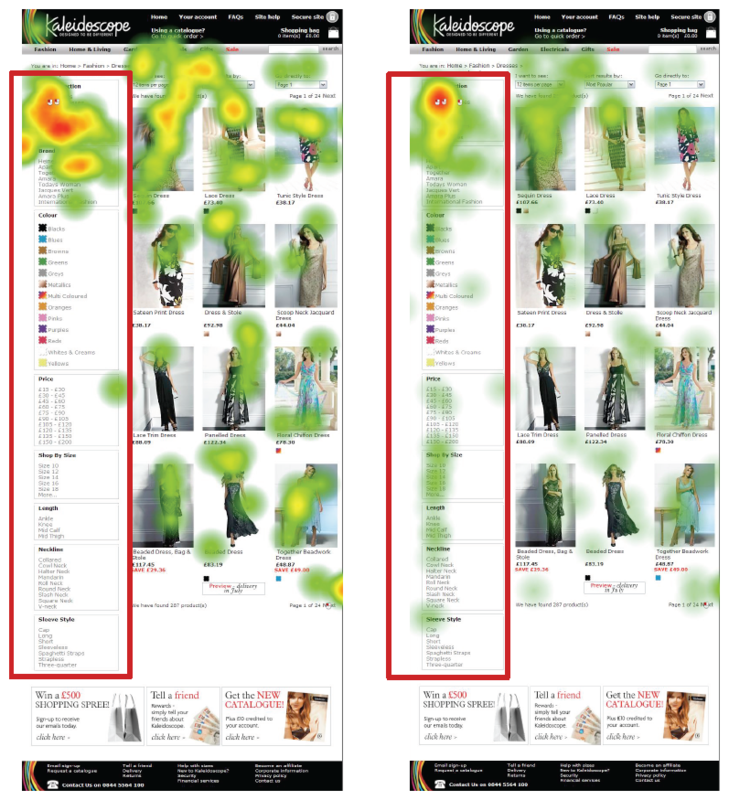 Bunnyfoot then conducted one on one user testing with eye tracking on the existing site. Pre and post test questionnaires examined the views towards shopping online and directly relating to their experience on the Kaleidoscope website. During the user testing, users were asked to navigate through the problem sections with specific tasks. Think aloud protocol was used to gauge responses as they moved through the site to give more qualitative views for the clients watching in the Observation Suite. Card sorting uncovers a better use of language and ordering of filter options would increase use of key tools. We couldn’t ever have guessed how our customers would interact with our site. This research has really opened our eyes to their needs!